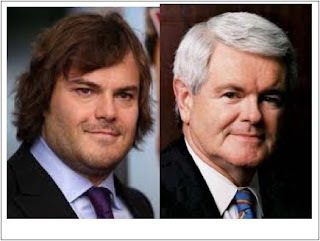 Now that Newt Gingrich is surging in the polls, the media are gearing-up for the obligatory smear phase. 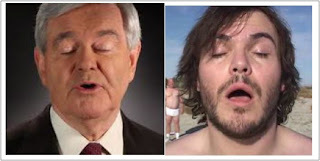 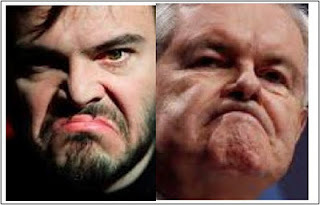 Most people already know about Newt’s marital issues, his religious conversions, his bouts of progressivism, and his tendency towards foot-in-mouth disease, but how many know that he is actually actor/comedian Jack Black’s father? 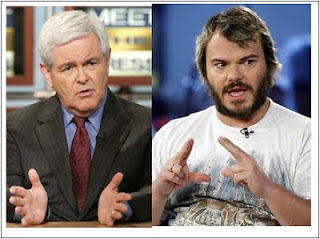 Just uncovered, the shocking proof!!! 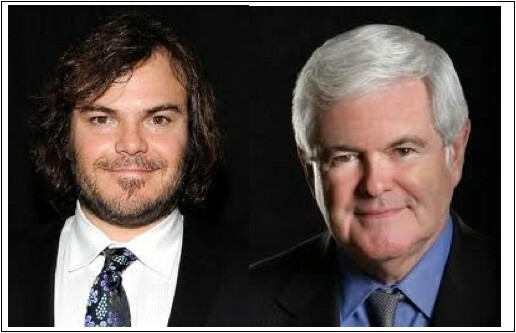 Newt Gingrich and son Jack Black share a laugh. “Why can’t you f*%#ing idiots understand this?" "Temper? 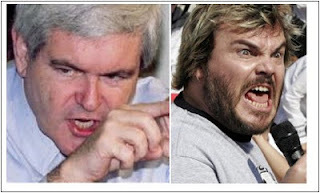 Who's got a temper?" Me and Dad when we used to drop acid together.